Try Something New with Title Loans Norwalk! Are you tired of the same old thing and want to find new restaurants to enjoy? Maybe you’re waiting in line to fulfill your jury duty at the local courthouse and you’re trying to find a great place for lunch, or maybe you’re trying to find the perfect restaurant to take your date. Whatever the case is, Title Loans Norwalk is here to share all the best eats that we’ve found in the city of Norwalk. Here are some of our top favorite places to eat in Norwalk! If you’re looking for some great Mexican food, Los Compadres won’t disappoint. 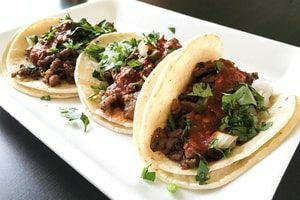 Keep in mind, this is not your typical taco and burrito fast food joint, but rather a sit-down restaurant where family gathering, celebrations, and date nights can take place! Yelp reviewers rave about the queso fundido, a cheesy chorizo dip that serves as a great starter to share with your group. Founded in 1987, Los Compadres aims to provide their guests with a quality dining experience by making the finest Mexican food possible. The restaurant also has two other locations in Long Beach. Next on our list is Kung Pao Bowl, a restaurant serving authentic Chinese food that many say is a hidden gem in Norwalk. Kung Pao Bowl is known for dishes such as Walnut Shrimp, General Tso’s Chicken, Kung Pow Chicken, and their Chicken Chow Mein. Yelp reviewers love the restaurant’s large portions and low prices, giving eaters their bang for their buck. Be sure to also save room for some dessert! Kung Pow Bowl offers macaron ice cream sandwiches with variety of flavors such as mango and strawberry. If you’re a fan of fruit smoothies, desserts, Mexican treats, and juice bars, BionicLand is a great stop for your tastebuds. You might find the mixture of food, fruit bowls, and juices and strange combination to behold but we assure you that the menu will both delight and surprise you. One of the most popular items on the menu is the Chamango, a fruit mixture of mango and pineapple and chamoy sauce. Another menu favorite is the Hot Cheeto Esquite, which combines the flaming spicy snack with a creamy corn mixture. Don’t miss out on this town favorite! Locals love to call this pizza joint the best pizza in town. Bob’s Pizza has been around Norwalk for decades and has held a special place in many hearts. 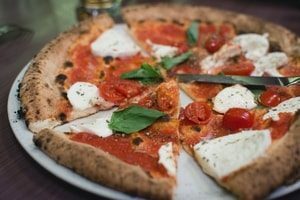 Bob’s Pizza makes their pizza dough fresh on a daily basis and wows customers with their fresh and delicious creations. A unique charm about this pizza joint is its location inside a 98 cent discount store. Recent remodels have expanded the space so eaters can dine in. So if you’re used to carry-out for a large group of friends, you can now enjoy eating in the newly renovated space. Other than its superb pizza, locals also love Bob’s wings and potato wedges. This Thai restaurant is a beloved by many locals in Norwalk and known for its aromatic flavors and dishes that will satisfy your Thai food cravings. Listed on Jonathan Gold’s reviews, Renu Nakorn is a popular choice for those looking for that delicious mixture of salty, sweet, and sour. Customers love to order Larb, a meat salad that is typically mixed with rice powder and fish sauce. 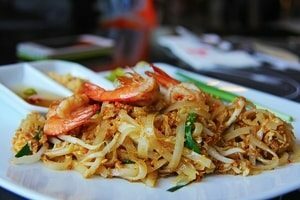 Other customers love the Tom Yum Kung, the Duck Curry, and the classic Pad Thai. With such a wide variety of dishes, you won’t be disappointed with whatever you choose on the menu. We hope you’ll get a chance to stop by some of our favorite places and eateries in Norwalk. Want to read more on the city of Norwalk? Read our article all about the city of Norwalk. Title Loans Norwalk is proud to serve the community of Norwalk for all their quick loan needs. If you’re struggling with financial hardship, don’t be afraid to reach out and give us a call at (626) 465-7418! Get your loan approved in less than 15 minutes and get cash today!